How to properly configure setup Firebase online project to Android Studio and install firebase libraries in application. Firebase is one of the most popular products from Google to create and manage web applications like websites and mobile applications(Android, iPhone). Firebase is very easy to use and comes with no server side coding skills because there is no need to do server side programming . It is much easier then MySQL because when we are using MySQL then we need to server side work in PHP language to convert that data into JSon form. So here is the complete step by step tutorial for Add Connect Firebase Project to Android Studio Step by Step Guide . How to Add Connect Firebase Project to Android Studio Step by Step Guide . 15. 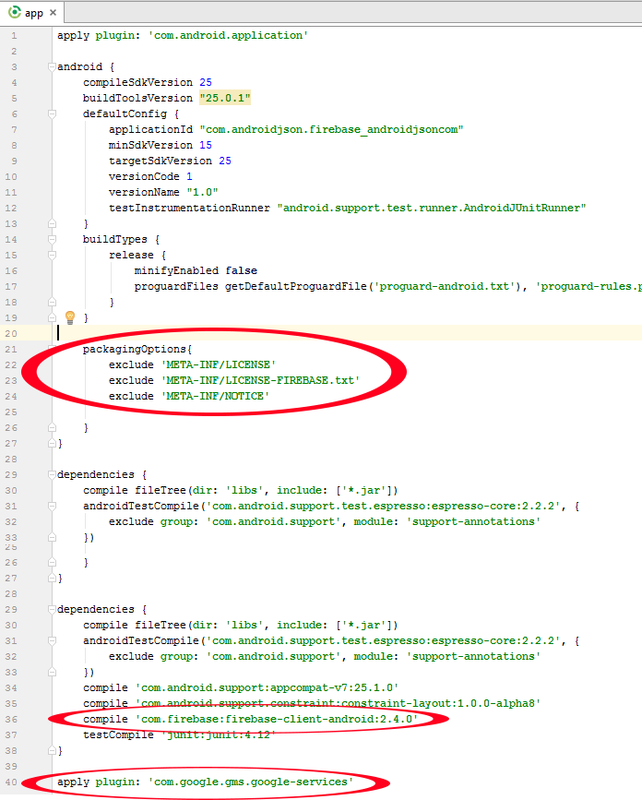 Add compile ‘com.firebase:firebase-client-android:2.4.0’ inside dependencies block .